Hibberdene Holiday Home is a 4 bedroom, 3.5 Bathroom, self-catering house that accommodates 8 guests comfortably. 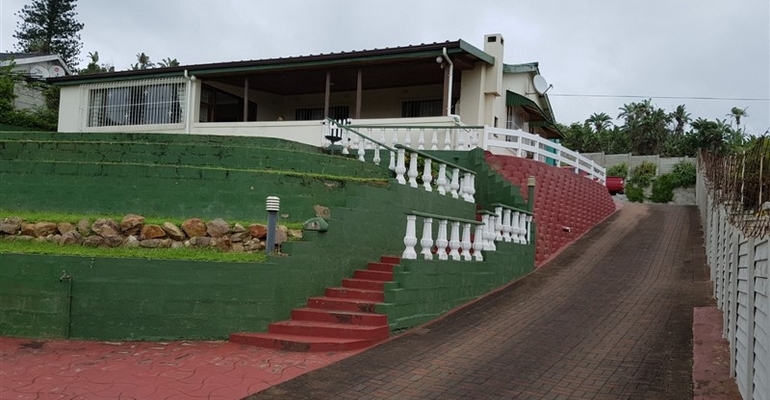 If you are looking for an affordable family holiday away from the hustle and bustle of the city and other holiday makers, then look no further than this stunning holiday home located in a tranquil area of Hibberdene along Kwa-Zulu Natal’s south coast. Self-catering is made easy in the fully equipped kitchen, allowing for a carefree cleaning and cooking holiday with all cutlery and crockery supplied. Maid service is included in the price so you don’t have to worry about cleaning while enjoying your well deserved break. There is a DSTV connection point available but remember to bring along your own decoder and smart card and don’t forget the remote. Outside, the large garden is pet friendly by prior arrangement and offers a build in braai and entertainment area. The property is fully walled and secure. The house is 500 meters to the beach and approximately 2 km from Hibberdene’s main beach with lifeguards, while Hibberdene itself offers lifeguards, a swimming pool, super tubes, a ski-boat club, bird watching and small private bass dam, restaurants, pubs and various other holiday activities.